The Home8 Video-Verified ActionView Garage Door Control Relay System provides an unprecedented level of control over gaage door openers. 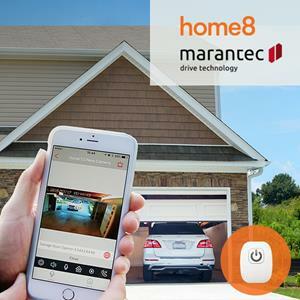 Using a smartphone or other web-enabled device, users can remotely open or close their garage doors. This allows users to perform a variety of important functions, such as allowing access to delivery people or letting in neighbors in the event of an emergency. It also means that users can close their garage door remotely if they drove away from home and left it open.